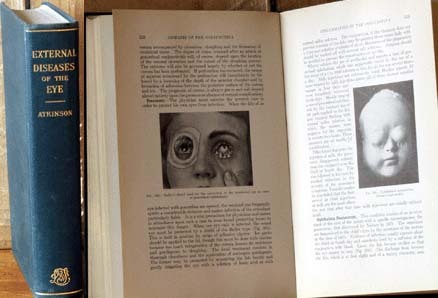 Atkinson, Donald T. External Diseases of the Eye. Philadelphia: Lea & Febiger, 1934. Atkinson, Donald T. External Diseases of the Eye, with 479 engravings. Philadelphia: Lea & Febiger, 1934, 704 pp.